The figure is borrowed from "The Berkeley Out-of-Order Machine (BOOM) Design Specification"
At the left is the physical register file approach when a register file contains more registers than ISA. 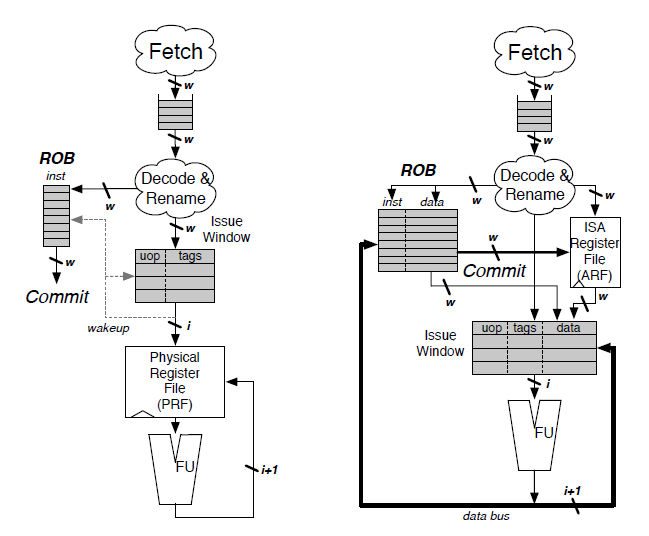 At the right a case when the register file is identical to ISA register set and the renaming is implemented in ROB ( ReOrder Buffer ) that commits to the register file. A quote from "The Berkeley Out-of-Order Machine (BOOM) Design Specification"